The courtship of ambient music and traditional songform has been a long and tenuous one, almost to the point that their differences seem irreconcilable. Spanning decades with only a few points of obscure intersections, the occasions on which the two styles have met and crossed into the pop culture lexicon have often yielded a contrary, oil-and-water form. The abstract nature of the ambient genre and instant gratification of the pop song require deft hands for successful cohabitation, thus its little wonder that there are so few practitioners of its delicate equilibrium. Orcas comprised of haze-pop auteur Benot Pioulard and post-minimalist composer Rafael Anton Irisarri is an imaginative return to that narrative. Theirs is a style deeply rooted in personal variations on songform and ambient craft, and as a duo they bridge the furthest outlying aspects of their previous solo work published on Kranky, Touch, Miasmah, Room40, and Ghostly International. Here song and abstraction become one entity, condensing the spaces between to generate an arching trajectory. This co-mingling of contrasts is even coded into their moniker; Pioulard and Irisarri have chosen an iconic symbol of the American Pacific Northwest, a methodical sea hunter that is also a totem of the open oceans expanse. The so-called wolf of the seas that evokes a quiet, stately, yet powerful nature. 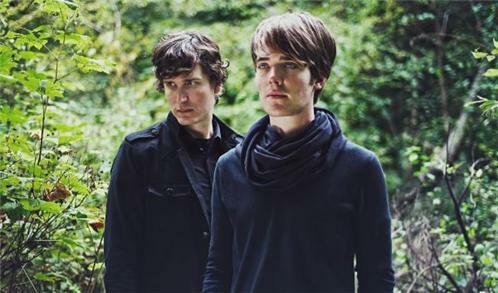 Appropriately, their music is a careful balance of chiaroscuro elements, where pop hook and spatial ambience converge. In its environs, lyricism flows as a time-distended dynamic, rising and falling, proceeding almost antithetically to pops typical gratification ethos. Orcas has taken an immersive, fluid vector for their passions; a resonant call like sonar from the depths.